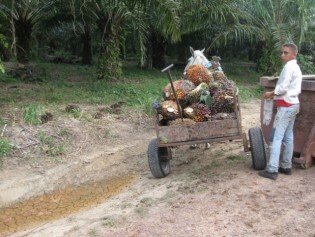 “In San Lorenzo they cut down the jungle to plant African oil palms. The only reason they didn’t expand more was that indigenous people managed to curb the spread,” Ecuadorean activist Santiago Levy said during the World Conservation Congress. “You don't convert your own house in a tourist site,” said Oussou Lio Appolinaire, an activist from Benin, wearing a traditional outfit in vivid yellows and greens. He was referring to opening up to tourists places that are sacred to indigenous people. In pure numbers, the past few decades have been marked by destruction: over the last 40 years, Earth has lost 52 percent of its wild animals; nearly 17 percent of the world’s forests have been felled in the last half-century; freshwater ecosystems have witnessed a 75-percent decline in animal populations since 1970; and nearly 95 percent of coral reefs are today threatened by pollution, coastal development and overfishing. The International Union for the Conservation of Nature (IUCN) Council announced Wednesday that the 2016 World Conservation Congress (WCC) will meet in Hawaii - the first time in its 66-year history that the world’s largest conservation conference will be hosted by the United States.